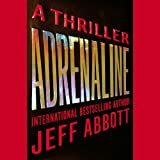 Adrenaline [electronic resource] : a thriller / Jeff Abbott. Contributor(s): Collins, Kevin T [nrt] | BBC Audiobooks America. Material type: SoundPublisher: [North Kingstown, R.I.] : BBC Audiobooks America, 2011Description: 1 online resource (1 sound file (14 hr., 34 min. )).ISBN: 9781611136661 (electronic audio bk. ); 1611136660 (electronic audio bk. ).Subject(s): United States. Central Intelligence Agency -- Officials and employees -- Fiction | Intelligence officers -- Fiction | Kidnapping -- Fiction | FICTION -- GeneralGenre/Form: Downloadable audio books. | Suspense fiction. | Audiobooks.Additional physical formats: Source record:: Adrenaline.DDC classification: 813/.6 Online resources: Click here to access title or place hold | Excerpt Click here to listen to an excerpt of this title Narrated by Kevin T. Collins.Summary: When his pregnant wife is kidnapped and he discovers that he has been set up as a traitor, brilliant CIA agent Sam Capra begins a desperate hunt for the unknown enemy who he believes has targeted the wrong man. Title from image of compact disc container on Web page (viewed July 11, 2011). Narrated by Kevin T. Collins.